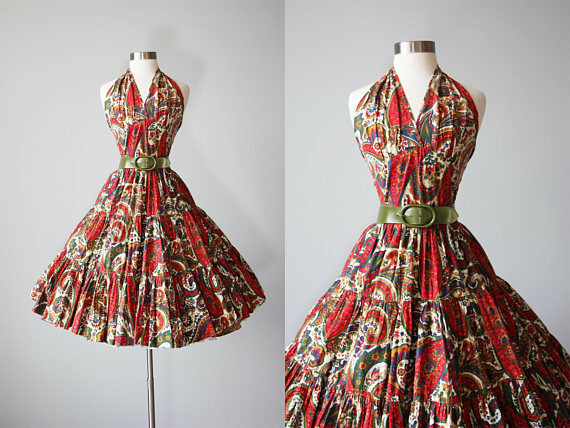 My love for vintage clothing and items has only increased with time. I don't know when it started - I was always amazed by the gorgeous yet used secondhand clothing I used to peruse as a young girl. I always search for pieces that are vintage or vintage inspired and Etsy has become a great treasure chest for these types of unique pieces. 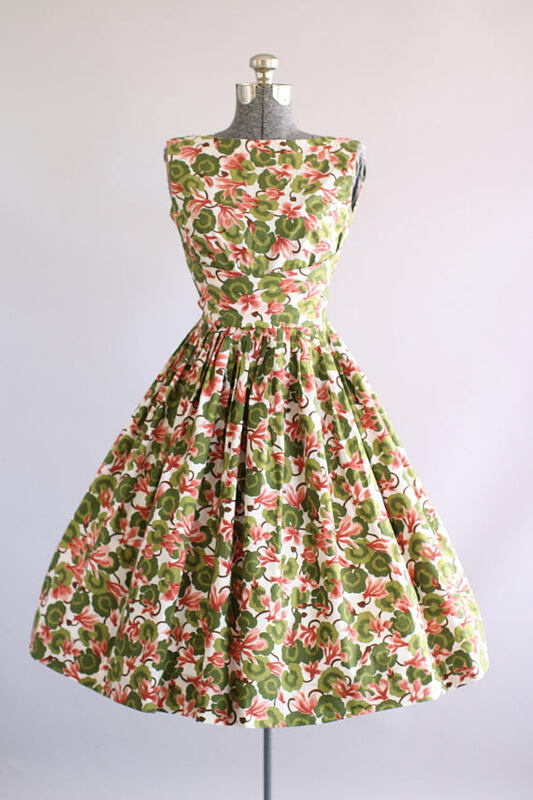 I wanted to share my personal list of favorite Vintage etsy stores! I have so many favorites so I consider this my first edition! Keep an eye out for more to come! Minxouri Vintage is a beautifully curated shop with pieces from the 1930s-1960s. The lovely Maya runs this shop located in Omaha, Nebraska. I first discovered her shop on Instagram and fell in love with all the brooches, tapestry bags and wiggle dresses. I recently purchased a red dress that was shades of Joan from Mad Men and a bicycle brooch that I just had to have. Perfect for a peter pan collared dress! Not all vintage has to revolve around clothing. The Button Bird located in Brunswick, Ohio specializes in unique vintage inspired jewelry and accessories all re purposed from actual vintage pieces. I had surgery on my left ear in July after my earlobe split (ouch!) and I have to wait at least 8 months to have them re-pierced. In the meantime, I get to divulge in the beautiful clip on earrings of yesteryear. 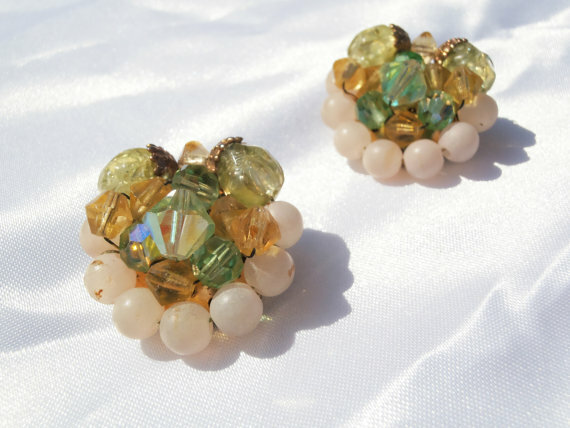 I purchased this gorgeous, 1950's style earrings. 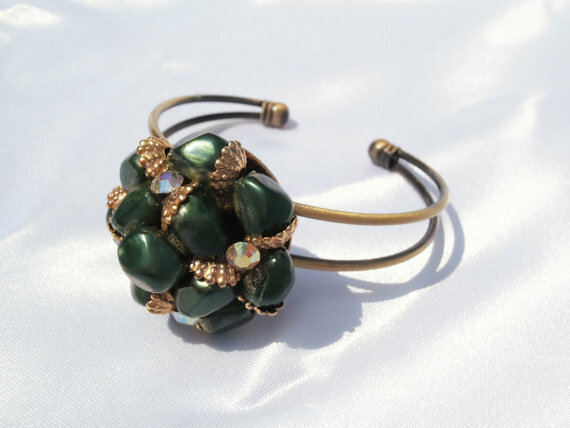 I also adored their vintage inspired green bracelet. Tuesday Rose Vintage is a shop run by Vanessa, a woman who has an eye for the beautiful and classic! It's a dress shop with designs from the 1940s-1970s. 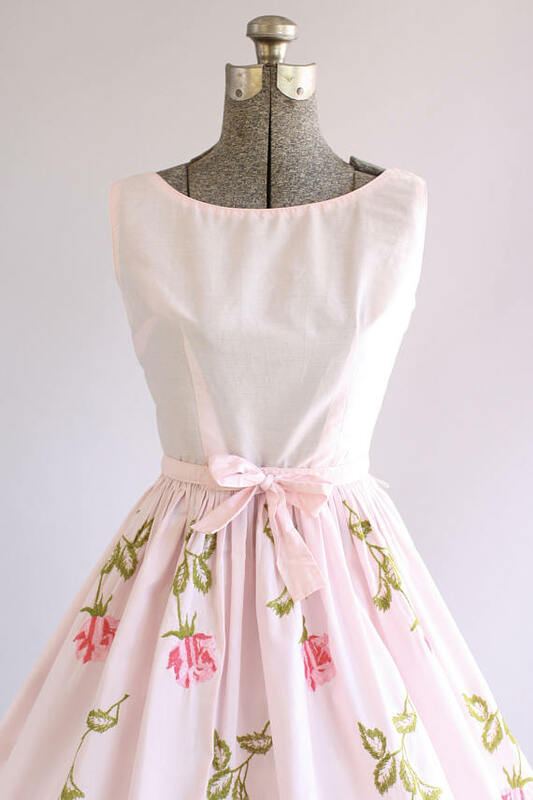 Although many of the dresses are perfect for those who are a size S or XS it's still a great store to find retro inspiration and sometimes have a medium or large.